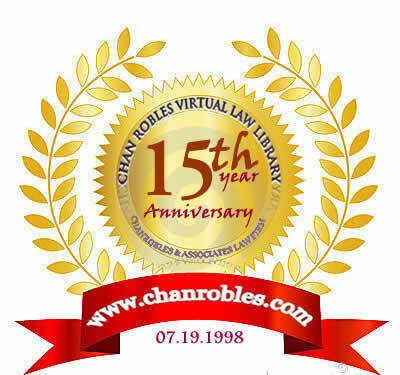 A collection of Philippine laws, statutes and codes not included or cited in the main indices of the Chan Robles Virtual Law Library. This page features the full text of Republic Act No. 8551. AN ACT PROVIDING FOR THE REFORM AND REORGANIZATION OF THE PHILIPPINE NATIONAL POLICE AND FOR OTHER PURPOSES, AMENDING CERTAIN PROVISIONS OF REPUBLIC ACT NUMBERED SIXTY-NINE HUNDRED AND SEVENTY-FIVE ENTITLED, "AN ACT ESTABLISHING THE PHILIPPINE NATIONAL POLICE UNDER A RE-ORGANIZED DEPARTMENT OF THE INTERIOR AND LOCAL GOVERNMENT, AND FOR OTHER PURPOSES". Section 1. Title. — This Act shall be known as the "Philippine National Police Reform and Reorganization Act of 1998". Sec. 2. Declaration of policy and principles. — It is hereby declared the policy of the State to establish a highly efficient and competent police force which is national in scope and civilian in character administered and controlled by a national police commission. The Philippine National Police (PNP) shall be a community and service oriented agency responsible for the maintenance of peace and order and public safety. The PNP shall be so organized to ensure accountability and uprightness in police exercise of discretion as well as to achieve efficiency and effectiveness of its members and units in the performance of their functions. "SEC. 12. Relationship of the Department with the Department of National Defense. — The Department of the Interior and Local Government shall be relieved of the primary responsibility on matters involving the suppression of insurgency and other serious threats to national security. The Philippine National Police shall, through information gathering and performance of its ordinary police functions, support the Armed Forces of the Philippines on matters involving suppression of insurgency, except in cases where the President shall call on the PNP to support the AFP in combat operations. "In times of national emergency, the PNP, the Bureau of Fire Protection, and the Bureau of Jail Management and Penology shall, upon the direction of the President, assist the armed forces in meeting the national emergency." "SEC. 13. Creation and composition. — A National Police Commission, hereinafter referred to as the Commission, is hereby created for the purpose of effectively discharging the functions prescribed in the Constitution and provided in this Act. The Commission shall be an agency attached to the Department for policy and program coordination. It shall be composed of a Chairperson, four (4) regular Commissioners, and the Chief of PNP as ex-officio member. Three (3) of the regular commissioners shall come from the civilian sector who are neither active nor former members of the police or military, one (1) of whom shall be designated as vice chairperson by the President. The fourth regular commissioner shall come from the law enforcement sector either active or retired: Provided, That an active member of a law enforcement agency shall be considered resigned from said agency once appointed to the Commission: Provided, further, That at least one (1) of the Commissioners shall be a woman. The Secretary of the Department shall be the ex-officio Chairperson of the Commission, while the Vice Chairperson shall act as the executive officer of the Commission." "12) Monitor and investigate police anomalies and irregularities. "e) Perform such other functions necessary to carry out the provisions of this Act and as the President may direct." "(c) The regular member coming from the law enforcement sector should have practical experience in law enforcement work for at least five (5) years while the three (3) other regular commissioners must have done extensive research work or projects on law enforcement, criminology or criminal justice or members of a duly registered non-government organization involved in the promotion of peace and order." "SEC. 16. Term of office. — The four (4) regular and full-time Commissioners shall be appointed by the President for a term of six (6) years without re-appointment or extension." Sec. 8. Expiration of the terms of office of current Commissioners. — Upon the effectivity of this Act the terms of office of the current Commissioners are deemed expired which shall constitute a bar to their reappointment or an extension of their terms in the Commission except for current Commissioners who have served less than two (2) years of their terms of office who may be appointed by the President for a maximum term of two (2) years. "SEC. 17. Temporary or permanent incapacity of the Chairperson. — In case of absence due to the temporary incapacity of the chairperson, the Vice chair shall serve as Chairperson until the Chairperson is present or regains capacity to serve. In case of death or permanent incapacity or disqualification of the chairperson, the acting chairperson shall also act as such until a new chairperson shall have been appointed by the President and qualified." "(a) Commission proper. — This is composed of the offices of the Chairman and four (4) Commissioners. 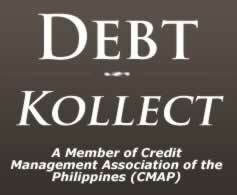 "(7) The Financial Service, which shall provide the Commission with staff advice and assistance on budgetary and financial matters, including the overseeing of the processing and disbursement of funds pertaining to the scholarship program and surviving children of deceased and/or permanently incapacitated PNP personnel. 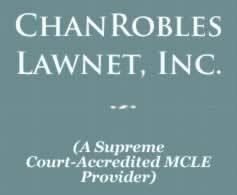 "(c) Disciplinary Appellate Boards — The Commission shall establish a formal administrative disciplinary appellate machinery consisting of the National Appellate Board and the regional appellate boards. "The National Appellate Board shall decide cases on appeal from decisions rendered by the PNP chief, while the regional appellate boards shall decide cases on appeal from decisions rendered by officers other than the PNP chief, the mayor, and the People's Law Enforcement Board (PLEB) created hereunder." "(b) A holder of a master's degree and appropriate civil service eligibility." Sec. 12. Qualifications Upgrading Program. — The Commission shall design and establish a qualifications upgrading program for the members of the Commission in coordination with the Civil Service Commission, the Department of Education, Culture and Sports and the Commission on Higher Education through a distance education program and/or an in-service education program or similar programs within ninety (90) days from the effectivity of this Act: Provided, That those who are already in the service from the effectivity of this Act shall have five (5) years to obtain the required degree or qualification counted from the implementation of the qualifications upgrading program. b) efficient and optimized delivery of police services to the communities. The PNP reorganization program shall be approved by Congress through a joint resolution. "j) For a new applicant, must not be less than twenty-one (21) nor more than thirty (30) years of age: except for the last qualification, the above-enumerated qualifications shall be continuing in character and an absence of any one of them at any given time shall be a ground for separation or retirement from the service: Provided, That PNP members who are already in the service upon the effectivity of this Act shall be given at least two (2) more years to obtain the minimum educational qualification and one (1) year to satisfy the weight requirement. "For the purpose of determining compliance with the requirements on physical and mental health, as well as the non-use of prohibited drugs, the PNP by itself or through a NAPOLCOM accredited government hospital shall conduct regular psychiatric, psychological drug and physical tests randomly and without notice. "After the lapse of the time period for the satisfaction of a specific requirement, current members of the PNP who will fail to satisfy any of the requirements enumerated under this Sec. shall be separated from the service if they are below fifty (50) years of age and have served in Government for less than twenty (20) years or retired if they are from the age of fifty (50) and above and have served the Government for at least twenty (20) years without prejudice in either case to the payment of benefits they may be entitled to under existing laws." Sec. 15. Waivers for initial appointments to the PNP. — The age, height, weight, and educational requirements for initial appointment to the PNP may be waived only when the number of qualified applicants fall below the minimum annual quota: Provided, That an applicant shall not be below twenty (20) nor over thirty-five (35) years of age: Provided, further, That any applicant not meeting the weight requirement shall be given reasonable time but not exceeding six (6) months within which to comply with the said requirement: Provided, furthermore, That only applicants who have finished second year college or have earned at least seventy-two (72) collegiate units leading to a bachelor's decree shall be eligible for appointment: Provided, furthermore, That anybody who will enter the service without a baccalaureate degree shall be given a maximum of four (4) years to obtain the required educational qualification: Provided, finally, That a waiver for height requirement shall be automatically granted to applicants belonging to the cultural communities. a) Applicants who posses the least disqualification shall take precedence over those who possess more disqualifications. b) The requirements shall be waived in the following order: (a) age, (b) height, (c) weight, and (d) education. The Commission shall promulgate rules and regulations to address other situations arising from the waiver of the entry requirements. Sec. 17. Nature of appointment under a waiver program. — Any PNP uniformed personnel who is admitted due to the waiver of the educational or weight requirements shall be issued a temporary appointment pending the satisfaction of the requirement waived. Any member who will fail to satisfy any of the waived requirements within the specified time periods under Sec. 13 of this Act shall be dismissed from the service. Sec. 18. Re-application of dismissed PNP members under a waiver program. — Any PNP member who shall be dismissed under a waiver program shall be eligible to re-apply for appointment to the PNP: Provided, That he or she possesses the minimum qualifications under Sec. 14 of this Act and his or her reappointment is not by virtue of another waiver program. Sec. 19. The field training program. — All uniformed members of the PNP shall undergo a Field Training Program for twelve (12) months involving actual experience and assignment in patrol, traffic, and investigation as a requirement for permanency of their appointment. b) has satisfactorily passed the required training and career courses necessary for the position as may be established by the Commission. Any PNP personnel who is currently occupying the position but lacks any of the qualifications mentioned above shall be given three (3) years upon the effectivity of this Act to comply with the requirements; otherwise he or she shall be relieved from the position. "SEC. 32. Examinations of policemen. — The National Police Commission shall administer the entrance and promotional examinations for policemen on the basis of the standards set by the Commission." "SEC. 34. Qualifications of Chief of City and Municipal Police Stations. — No person shall be appointed chief of a city police station unless he/she is a graduate of Bachelor of Laws or has finished all the required courses of a master's degree program in public administration, criminology, criminal justice, law enforcement, national security administration, defense studies, and other related disciplines from a recognized institution of learning. No person shall be appointed chief of a municipal police station unless he or she has finished at least second year Bachelor of Laws or has earned at least twelve (12) units in a master's degree program in public administration, criminology, criminal justice, law enforcement, national security administration, and other related disciplines from a recognized institution of learning: Provided, That members of the Bar with at least five (5) years of law practice, licensed criminologists or graduates of the Philippine National Police Academy and who possess the general qualifications for initial appointment to the PNP shall be qualified for appointment as chief of a city or municipal police station: Provided, further, That the appointee has successfully passed the required field training program and has complied with other requirements as may be established by the Commission: Provided, furthermore, That the chief of police shall be appointed in accordance with the provisions of Sec. 51, paragraph (b), subparagraph 4(i) of this Act." Sec. 23. Qualifications Upgrading Program. — The Commission shall design and establish a qualifications upgrading program for the Philippine National Police officers and members in coordination with the Civil Service Commission, and the Commission on Higher Education through a distance education program and/or an in-service education program or other similar programs within ninety (90) days from the effectivity of this Act. C. ATTRITION SYSTEM FOR UNIFORMED PERSONNEL Sec. 24. Attrition system. — There shall be established a system of attrition within the uniformed members of the PNP within one (1) year from the effectivity of this Act to be submitted by the PNP to the Commission for approval. Such attrition system shall include but is not limited to the provisions of the following Sec.s. Sec. 25. Attrition by attainment of maximum tenure in position. — The maximum tenure of PNP members holding key positions is hereby prescribed as follows: POSITION MAXIMUM TENURE Chief four (4) years Deputy Chief four (4) years Director of the Staff Services four (4) years Regional Directors six (6) years Provincial/City Directors nine (9) years Other positions higher than Provincial Director shall have the maximum tenure of six (6) years. Unless earlier separated, retired or promoted to a higher position in accordance with the PNP Staffing Pattern, police officers holding the above-mentioned positions shall be compulsorily retired at the maximum tenure in position herein prescribed, or at age fifty-six (56), whichever is earlier: Provided, That in times of war or other national emergency declared by Congress, the President may extend the PNP Chief's tour of duty: Provided, further, That PNP members who have already reached their maximum tenure upon the effectivity of this Act may be allowed one (1) year more of tenure in their positions before the maximum tenure provided in this Sec. shall be applied to them, unless they shall have already reached the compulsory retirement age of fifty-six (56), in which case the compulsory retirement age shall prevail. Except for the Chief, PNP, no PNP member who has less than one (1) year of service before reaching the compulsory retirement age shall be promoted to a higher rank or appointed to any other position. Sec. 26. Attrition by relief. — A PNP uniformed personnel who has been relieved for just cause and has not been given an assignment within two (2) years after such relief shall be retired or separated. Sec. 27. Attrition by demotion in position or rank. — Any PNP personnel, civilian or uniformed, who is relieved and assigned to a position lower than what is established for his or her grade in the PNP staffing pattern and who shall not be assigned to a position commensurate to his or her grade within eighteen (18) months after such demotion in position shall be retired or separated. Sec. 28. Attrition by non-promotion. — Any PNP personnel who has not been promoted for a continuous period of ten (10) years shall be retired or separated. d) failure to pass the required entrance examinations twice and/or finish the required career courses except for justifiable reasons. Sec. 30. 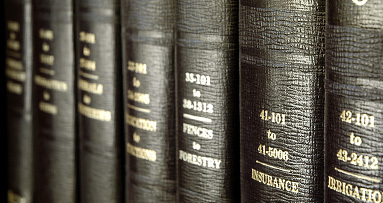 Retirement or separation under the preceding Sec.s. — Any personnel who is dismissed from the PNP pursuant to Sec.s 25, 26, 27, 28 and 29 hereof shall be retired if he or she has rendered at least twenty (20) years of service and separated if he or she has rendered less than twenty (20) years of service unless the personnel is disqualified by law to receive such benefits. Sec. 31. Rationalized promotion system. — Within six (6) months after the effectivity of this Act, the Commission shall establish a system of promotion for uniformed and non-uniformed personnel of the PNP which shall be based on merits and on the availability of vacant positions in the PNP staffing pattern. Such system shall be gender fair and shall ensure that women members of the PNP shall enjoy equal opportunity for promotion as that of men. Sec. 32. Promotion by virtue of position. — Any PNP personnel designated to any key position whose rank is lower than that which is required for such position shall, after six (6) months of occupying the same, be entitled to a rank adjustment corresponding to the position: Provided, That the personnel shall not be reassigned to a position calling for a higher rank until after two (2) years from the date of such rank adjustment: Provided, further, That any personnel designated to the position who does not possess the established minimum qualifications therefor shall occupy the same temporarily for not more than six (6) months without reappointment or extension. "SEC. 38. Promotions. — (a) A uniformed member of the PNP shall not be eligible for promotion to a higher position or rank unless he or she has successfully passed the corresponding promotional examination given by the Commission, or the Bar, or the corresponding board examinations for technical services and other professions, has satisfactorily completed the appropriate and accredited course in the PNPA or equivalent training institutions, and has satisfactorily passed the required psychiatric/psychological and drug tests. In addition, no uniformed member of the PNP shall be eligible for promotion during the pendency of his or her administrative and/or criminal case or unless he or she has been cleared by the People's Law Enforcement Board (PLEB), and the Office of the Ombudsman of any complaints proffered against him or her, if any. "(b) Any uniformed member of the PNP who has exhibited acts of conspicuous courage and gallantry at the risk of his/her life above and beyond the call of duty, shall be promoted to the next higher rank: Provided, That such acts shall be validated by the Commission based on established criteria." "SEC. 75. Retirement benefits. — Monthly retirement pay shall be fifty percent (50%) of the base pay and longevity pay of the retired grade in case of twenty (20) years of active service, increasing by two and one-half percent (2.5%) for every year of active service rendered beyond twenty (20) years to a maximum of ninety percent (90%) for thirty-six (36) years of active service and over: Provided, That, the uniformed personnel shall have the option to receive in advance and in lump sum his retirement pay for the first five (5) years: Provided, further, That payment of the retirement benefits in lump sum shall be made within six (6) months from effectivity date of retirement and/or completion: Provided, finally, That retirement pay of the officers/non-officers of the PNP shall be subject to adjustments based on the prevailing scale of base pay of police personnel in the active service." "SEC. 73. Permanent physical disability. — An officer or non-officer who is permanently and totally disabled as a result of injuries suffered or sickness contracted in the performance of his duty as duly certified by the National Police Commission, upon finding and certification by the appropriate medical officer, that the extent of the disability or sickness renders such member unfit or unable to further perform the duties of his position, shall be entitled to one year's salary and to lifetime pension equivalent to eighty percent (80%) of his last salary, in addition to other benefits as provided under existing laws. "Should such member who has been retired under permanent total disability under this Sec. die within five (5) years from his retirement, his surviving legal spouse or if there be none, the surviving dependent legitimate children shall be entitled to the pension for the remainder of the five (5) years guaranteed period." "SEC. 36. Status of members of the Philippine National Police. — The uniformed members of the PNP shall be considered employees of the National Government and shall draw their salaries therefrom. They shall have the same salary grade level as that of public school teachers: Provided, That PNP members assigned in Metropolitan Manila, chartered cities and first class municipalities may be paid financial incentive by the local government unit concerned subject to the availability of funds." d) he or she has at least three (3) more years in the service before reaching the compulsory retirement age and at least a year before his or her maximum tenure in position. Sec. 38. Rationalization of retirement and separation benefits. — The Commission shall formulate a rationalized retirement and separation benefits schedule and program within one (1) year from the effectivity of this Act for approval by Congress: Provided, That the approved schedule and program shall have retroactive effect in favor of PNP members and officers retired or separated from the time specified in the law, unless the retirement or separation is for cause and the decision denies the grant of benefits. f) provide assistance to the Office of the Ombudsman in cases involving the personnel of the PNP. e) incidents where the established rules of engagement have been violated. Finally, the IAS shall provide documents or recommendations as regards to the promotion of the members of the PNP or the assignment of PNP personnel to any key position. Sec. 40. Organization. — National, regional, and provincial offices of the Internal Affairs shall be established. Internal Affairs Service shall be headed by an Inspector General who shall be assisted by a Deputy Inspector General. The area offices shall be headed by a Director while the provincial offices shall be headed by a Superintendent: Provided, That the head of the Internal Affairs Service shall be a civilian who shall meet the qualification requirements provided herein. The commission shall establish a rationalized staffing pattern in the Reorganization Plan as provided for in Sec. 13 hereof. Sec. 41. Appointments. — The Inspector General shall be appointed by the President upon the recommendation of the Director General and duly endorsed by the Commission. Appointments of personnel who shall occupy various positions shall be made by the Inspector General and shall be based on an established career pattern and criteria to be promulgated by the Commission. Sec. 42. Entry qualifications to IAS. — Entry to the Internal Affairs Service shall be voluntary and subject to rigid screening where only PNP personnel who have at least five (5) years experience in law enforcement and who have no derogatory service records shall be considered for appointment: Provided, That members of the Bar may enter the service laterally. Sec. 43. Initial appointments to the National, Directorial, and Provincial Internal Affairs Service Offices. — Initial appointments of the heads of the offices in the Internal Affairs Service shall be made by the President upon recommendation by the Commission. Thereafter, appointments and promotions to the Service shall follow the established requirements and procedures. Sec. 44. Promotions. — The Commission shall establish the promotion system within the IAS which shall follow the general principles of the promotion system in the PNP. Sec. 45. Prohibitions. — Any personnel who joins the IAS may not thereafter join any other unit of the PNP. Neither shall any personnel of the IAS be allowed to sit in a committee deliberating on the appointment, promotion, or assignment of any PNP personnel. Sec. 46. Career development and incentives. — (1) Personnel of the Internal Affairs Service shall in addition to other allowances authorized under existing laws be granted occupational specialty pay which shall not exceed fifty percent (50%) of their basic pay. This pay shall not be considered a forfeiture of other remuneration and allowances which are allowed under existing laws. (2) IAS members shall also have priorities in the quota allocation for training and education. Sec. 47. Records management of the IAS. — Local Internal Affairs Offices shall be responsible for the maintenance and update of the records of the members of the PNP within their jurisdiction. When a PNP personnel is reassigned or transferred to another location or unit outside the jurisdiction of the current Internal Affairs Office, the original records of such personnel shall be transferred over to the Internal Affairs Office that will acquire jurisdiction over the transferred personnel while copies will be retained by the former Internal Affairs Office. In cases where a PNP personnel has been relieved of his/her position and has not been given an assignment, the Internal Affairs Office where the person has been assigned last shall continue to have jurisdiction over his or her records until such time that the officer or member shall have been given a new assignment where the records will be forwarded to the Internal Affairs Office acquiring jurisdiction over the PNP personnel. Sec. 48. Inclusion of supervisors and superiors in IAS investigations. 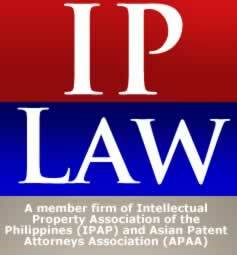 — The immediate superior or supervisor of the personnel or units being investigated under the preceding Sec. shall be automatically included in the investigation of the IA to exclusively determine lapses in administration or supervision. Sec. 49. Disciplinary recommendations of the IAS. — (a) Any uniformed PNP personnel found guilty of any of the cases mentioned in Sec. 39 of this Act and any immediate superior or supervisor found negligent under Sec. 48 shall be recommended automatically for dismissal or demotion, as the case may be. (b) Recommendations by the IAS for the imposition of disciplinary measures against an erring PNP personnel, once final, cannot be revised, set-aside, or unduly delayed by any disciplining authority without just cause. Any disciplining authority who fails to act or who acts with abuse of discretion on the recommendation of the IAS shall be made liable for gross neglect of duty. The case of erring disciplinary authority shall be submitted to the Director General for proper disposition. Sec. 50. Appeals. — Decisions rendered by the provincial inspectors shall be forwarded to the area internal affairs office for review within ten (10) working days upon the receipt thereof. Decisions of the area office may be appealed to the national office through the Office of Inspector General. Decisions rendered by the National IAS shall be appealed to the National Appellate Board or to the court as may be appropriate: Provided, That the summary dismissal powers of the Director General and Regional Directors as provided in Sec. 42 of Republic Act No. 6975 shall remain valid: Provided, further, That the existing jurisdiction over offenses as provided under Republic Act No. 6975 shall not be affected. Sec. 51. Complaints against the IAS. — A complaint against any personnel or office of IAS shall be brought to the Inspector General's Office or to the Commission as may be appropriate. "(3) People's Law Enforcement Board, as created under Sec. 43 hereof, where the offense is punishable by withholding of privileges, restriction to specified limits, suspension or forfeiture of salary, or any combination thereof, for a period exceeding thirty (30) days; or by dismissal. "The Commission shall provide in its implementing rules and regulations a scale of penalties to be imposed upon any member of the PNP under this Sec..
"(4) The Chief of the PNP shall have the power to impose the disciplinary punishment of dismissal from the service; suspension or forfeiture of salary; or any combination thereof for a period not exceeding one hundred eighty (180) days: Provided, further, That the chief of the PNP shall have the authority to place police personnel under restrictive custody during the pendency of a grave administrative case filed against him or even after the filing of a criminal complaint, grave in nature, against such police personnel. "(c) Exclusive jurisdiction. — A complaint or a charge filed against a PNP member shall be heard and decided exclusively by the disciplining authority who has acquired original jurisdiction over the case and notwithstanding the existence of concurrent jurisdiction as regards the offense: Provided, That offenses which carry higher penalties referred to a disciplining authority shall be referred to the appropriate authority which has jurisdiction over the offense. "(5) Gambling prohibited by law. "(d) Forum shopping of multiple filing of complaints. — When an administrative complaint is filed with a police disciplinary authority, such as the People's Law Enforcement Board (PLEB), no other case involving the same cause of action shall be filed with any other disciplinary authority. "(d) that if he should thereafter learn that a similar action or proceeding has been filed or is pending before any other police disciplinary authority, he must undertake to report that fact within five (5) days therefrom to the disciplinary authority where the original complaint or pleading has been filed." "(c) When the respondent is guilty of a serious offense involving conduct unbecoming of a police officer. "Any member or officer of the PNP who shall go on absence without official leave (AWOL) for a continuous period of thirty (30) days or more shall be dismissed immediately from the service. His activities and whereabouts during the period shall be investigated and if found to have committed a crime, he shall be prosecuted accordingly." "SEC. 44. Disciplinary Appellate Boards. — The formal administrative disciplinary machinery of the PNP shall be the National Appellate Board and the regional appellate boards. "The National Appellate Board shall be composed of the four (4) regular commissioners and shall be chaired by the executive officer. The Board shall consider appeals from decisions of the Chief of the PNP. "The National Appellate Board may conduct its hearings or sessions in Metropolitan Manila or any part of the country as it may deem necessary. "There shall be at least one (1) regional appellate board per administrative region in the country to be composed of a senior officer of the regional Commission as Chairman and one (1) representative each from the PNP, and the regional peace and order council as members. 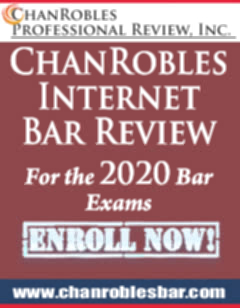 It shall consider appeals from decisions of the regional directors, other officials, mayors, and the PLEBs: Provided, That the Commission may create additional regional appellate boards as the need arises." "Sec. 47. Preventive suspension pending criminal case. — Upon the filing of a complaint or information sufficient in form and substance against a member of the PNP for grave felonies where the penalty imposed by law is six (6) years and one (1) day or more, the court shall immediately suspend the accused from office for a period not exceeding ninety (90) days from arraignment: Provided, however, That if it can be shown by evidence that the accused is harassing the complainant and/or witnesses, the court may order the preventive suspension of the accused PNP member even if the charge is punishable by a penalty lower than six (6) years and one (1) day: Provided, further, That the preventive suspension shall not be more than ninety (90) days except if the delay in the disposition of the case is due to the fault, negligence or petitions of the respondent: Provided, finally, That such preventive suspension may be sooner lifted by the court in the exigency of the service upon recommendation of the chief, PNP. Such case shall be subject to continuous trial and shall be terminated within ninety (90) days from arraignment of the accused." "SEC. 49. Legal assistance. — The Secretary of Justice, the chairman of the Commission or the Chief of the PNP may authorize lawyers of their respective agencies to provide legal assistance to any member of the PNP who is facing before the prosecutor's office, the court or any competent body, a charge or charges arising from any incident which is related to the performance of his official duty: Provided, That government lawyers so authorized shall have the power to administer oaths: Provided, further, That in such cases, when necessary, as determined by the Commission, a private counsel may be provided at the expense of the Government. The Secretary of Justice, the Chairman of the Commission and the Chief of the PNP shall jointly promulgate rules and regulations to implement the provisions of this Sec.."
TITLE VII CREATION OF WOMEN'S DESKS IN ALL POLICE STATIONS AND THE FORMULATION OF A GENDER SENSITIVITY PROGRAM Sec. 57. Creation and functions. — The PNP shall establish women's desks in all police stations throughout the country to administer and attend to cases involving crimes against chastity, sexual harassment, abuses committed against women and children and other similar offenses: Provided, That municipalities and cities presently without policewomen will have two (2) years upon the effectivity of this Act within which to comply with the requirement of this provision. Sec. 58. Prioritization of women for recruitment. — Within the next five (5) years, the PNP shall prioritize the recruitment and training of women who shall serve in the women's desk. Pursuant to this requirement, the PNP shall reserve ten percent (10%) of its annual recruitment, training, and education quota for women. Sec. 59. Gender sensitivity program. — The Commission shall formulate a gender sensitivity program within ninety (90) days from the effectivity of this Act to include but not limited to the establishment of equal opportunities for women in the PNP, the prevention of sexual harassment in the workplace, and the prohibition of discrimination on the basis of gender or sexual orientation. Sec. 60. Administrative liability. — Any personnel who shall violate the established rules and regulations regarding gender sensitivity and gender equality shall be suspended without pay for not less than thirty (30) days and shall undergo gender sensitivity seminar or training: Provided, That any personnel who violates the rules more than twice shall be recommended for demotion or dismissal from the PNP. Sec. 61. Non-prohibition for promotion. — Nothing in this title shall be construed as a restriction on the assignment of policewomen to other positions in the PNP nor shall any provisions of this title be used for the non-promotion of a PNP female personnel to higher position. "The term 'operational supervision and control' shall mean the power to direct, superintend, and oversee the day-to-day functions of police investigation of crime, crime prevention activities, and traffic control in accordance with the rules and regulations promulgated by the Commission. "'Employment' refers to the utilization of units or elements of the PNP for purposes of protection of lives and properties, enforcement of laws, maintenance of peace and order, prevention of crimes, arrest of criminal offenders and bringing the offenders to justice, and ensuring public safety, particularly in the suppression of disorders, riots, lawlessness, violence, rebellious and seditious conspiracy, insurgency, subversion or other related activities. "'Deployment' shall mean the orderly and organized physical movement of elements or units of the PNP within the province, city or municipality for purposes of employment as herein defined." "(iii) Authority to recommend from a list of eligibles previously screened by the peace and order council the appointment of new members of the PNP to be assigned to their respective cities or municipalities without which no such appointments shall be attested: Provided, That whenever practicable and consistent with the requirements of the service, PNP members shall be assigned to the city or municipality of their residence. "The control and supervision of anti-gambling operations shall be within the jurisdiction of local government executives." Sec. 64. Automatic deputation of Local Government Executives as Commission representatives. — Governors and mayors, upon having been elected and living qualified as such, are automatically deputized as representatives of the National Police Commission in their respective jurisdiction. As deputized agents of the Commission, local government executives can inspect police forces and units, conduct audit, and exercise other functions as may be duly authorized by the Commission. "(d) Engaging in acts inimical to national security or which negate the effectiveness of the peace and order campaign. "Upon good cause shown, the President may, directly or through the Commission, motu proprio restore such deputation withdrawn from any local executive." "SEC. 43. People's Law Enforcement Board (PLEB). — (a) Creation and functions. — The sangguniang panlungsod/bayan in every city and municipality shall create such number of People's Law Enforcement Boards (PLEBs) as may be necessary: Provided, That there shall be at least one (1) PLEB for every five hundred (500) city or municipal police personnel and for each of the legislative districts in a city. "The PLEB shall be the central receiving entity for any citizen's complaint against the officers and members of the PNP. Subject to the provisions of Sec. 41 of Republic Act No. 6975, the PLEB shall take cognizance of or refer the complaint to the proper disciplinary or adjudicatory authority within three (3) days upon the filing of the complaint." "(3) Three (3) other members who are removable only for cause to be chosen by the local peace and order council from among the respected members of the community known for their probity and integrity, one (1) of whom must be a woman and another a member of the Bar, or, in the absence thereof, a college graduate, or the principal of the central elementary school in the locality." "The Chairman of the PLEB shall be elected from among its members. The term of office of the members of the PLEB shall be for a period of three (3) years from assumption of office. Such member shall hold office until his successor shall have been chosen and qualified." "(c) Compensation. - Membership in the PLEB is a civic duty. However, PLEB members shall be paid per diem and shall be provided with life insurance coverage as may be determined by the city or municipal council from city or municipal funds. The DILG shall provide for the per diem and insurance coverage of PLEB members in certain low income municipalities." Sec. 70. Budget allocation. — The annual budget of the Local Government Units (LGU) shall include an item and the corresponding appropriation for the maintenance and operation of their local PLEBs. The Secretary shall submit a report to Congress and the President within fifteen (15) days from the effectivity of this Act on the number of PLEBs already organized as well as the LGUs still without PLEBs. Municipalities or cities without a PLEB or with an insufficient number of organized PLEBs shall have thirty (30) more days to organize their respective PLEBs. After such period, the DILG and the Department of Budget and Management shall withhold the release of the LGU's share in the national taxes in cities and municipalities still without PLEB(s). d) when the respondent is in a position to unduly influence the witnesses. Any superior who fails to act on any request for suspension without valid grounds shall be held administratively liable for serious neglect of duty. TITLE X TRANSITORY PROVISIONS Sec. 72. Transition. — The provisions on the reorganization and the civilianization of the PNP and the devolution of police capabilities to the local police forces shall be effected within three (3) years after the effectivity of this Act. TITLE XI FINAL PROVISIONS Sec. 73. Rules and regulations. — Unless otherwise provided in this Act, the Commission in coordination with the Philippine National Police and the Department of the Interior and Local Government, shall promulgate rules and regulations for the effective implementation of this Act. Such rules and regulations shall take effect upon their publication in three (3) newspapers of general circulation. Sec. 74. Appropriations. — The amount necessary to carry out the provisions of this Act is hereby authorized to be appropriated in the General Appropriations Act of the year following its enactment into law and thereafter. Sec. 75. Repealing clause. — All laws, presidential decrees, letters of instructions, executive orders, rules and regulations insofar as they are inconsistent with this Act, are hereby repealed or amended as the case may be. Sec. 76. Separability clause. — In case any provision of this Act or any portion thereof is declared unconstitutional by a competent court, other provisions shall not be affected thereby. Sec. 77. Effectivity clause. — This Act shall take effect after its complete publication in at least three (3) newspapers of general circulation.